This is is a mini workshop creating a journal page that was originally made as a module for the collaborative course Spectrum, 2016. This is just my lesson where I create this page. Self-paced with access to the classroom for a minimum of a year. In this lesson we will be exploring an archetype on the page- the magician. 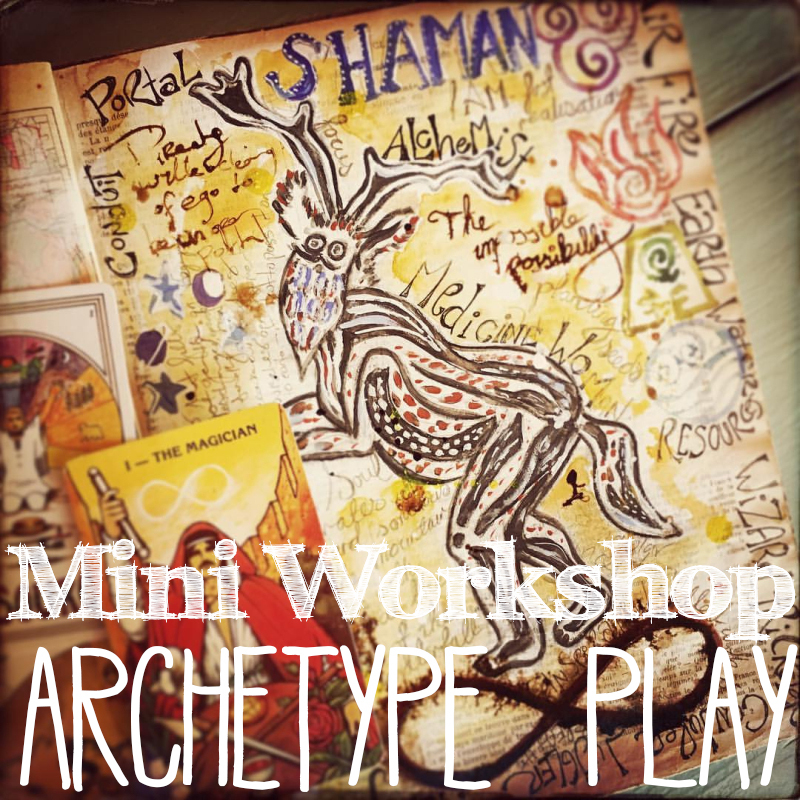 I will be sharing one of the ways I explore archetypes on the journal page through both research, intuition and listening to what the page is saying back to me.